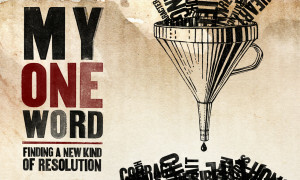 I have participated in the My One Word challenge for the past five years. Words that have guided me in the preceding years include Balance – Peace – Delight – Fun – Nourish. I typically start thinking about my new word around November 1st. This year that culminated with the final post of the 31 Day Blogging challenge where I listed daily affirmations to help combat Impostor Syndrome. The word that resonated with me at that time was – BELIEVE. Believe is a word I hope to cultivate throughout my life. I like that believe is a verb – it requires action (whereas faith is a noun and not quite as powerful). Believe is also rich in meaning and significance. I want to increase my faith (belief) in a loving omniscient God – but I also need to increase belief in myself. Impostor Syndrome is a constant state of not feeling worthy or good enough. This mindset prevents me from being all God wants and intends me to be. BELIEVE is a word that will help me become ME. I pondered this possible new word for a few weeks, but then I discovered another word I thought might be more appropriate: ABUNDANCE. The idea of “enough” kept circling around in my head. I AM enough – I HAVE enough. I’ve struggled with scarcity mentality for decades. But I’ve come to realize this way of thinking is not only filled with lies – it hinders me from reaching my full potential and robs me of cultivating daily gratitude. But even the word enough seems to border on mediocrity. Abundance, however, brings life’s blessings into full view. I not only have enough – I have more than enough. I am not only enough, I am more than enough to accomplish what God calls me to pursue. And the Bible is clear that God not only wants us to live – but experience life to its fullest (John 10:10). I was ready to declare abundance my new word … until this past week. In the span of just a few days, I learned two dear people are fighting what appears to be a losing battle with cancer. Of course, their story is not yet over and I continue to pray for a miracle, but this sober news made me cognizant of our mortality. While none of us knows how much time we have left – I can review genetics and family history to make an educated guess. Less than two decades is the mathematical answer. I don’t say this to be morbid or sad or regretful. I say this to snap myself into reality. I have a lot of living left to do. What am I waiting for?! I immediately thought of the word DASH – inspired by the Dash Poem. However, I soon realized the word has two distinct meanings. I wanted to focus on the space between life and death – but I most certainly do not want to sprint through these remaining years. Quite the opposite… I want to savor them. So instead, I am choosing the word SPACE. Again, a word filled with rich meaning. I want to create more space in my home. It is time to clean out the clutter and cherish those items that mean the most to me. It is time to stop collecting stuff and instead collect meaningful memories with loved ones. I desire to create space in my daily calendar – stop living life on autopilot and instead intentionally pursue the passions of life. It is time to turn off the nightly television and begin to delve into projects that challenge me. I also need to release old mental baggage and create space for positive thoughts. It is time to stop believing the scarcity mentality lies and the inner critic who repeatedly tells me I’m not good enough and instead create space where I can hear God’s truth. And I want to focus on this space between life and death – this time on earth that I have left. I want to focus on the dash: living an abundant life that cultivates a belief in God and myself. So my word of the year is spelled a bit differently: SP-ACE. I do not want to forget the dash. I do not want to forget to live with purpose, love, and joy. What a wonderful idea. I, too, need to make more SP-ACE. I want to live with intention and to make room for the important. Happy New Year. 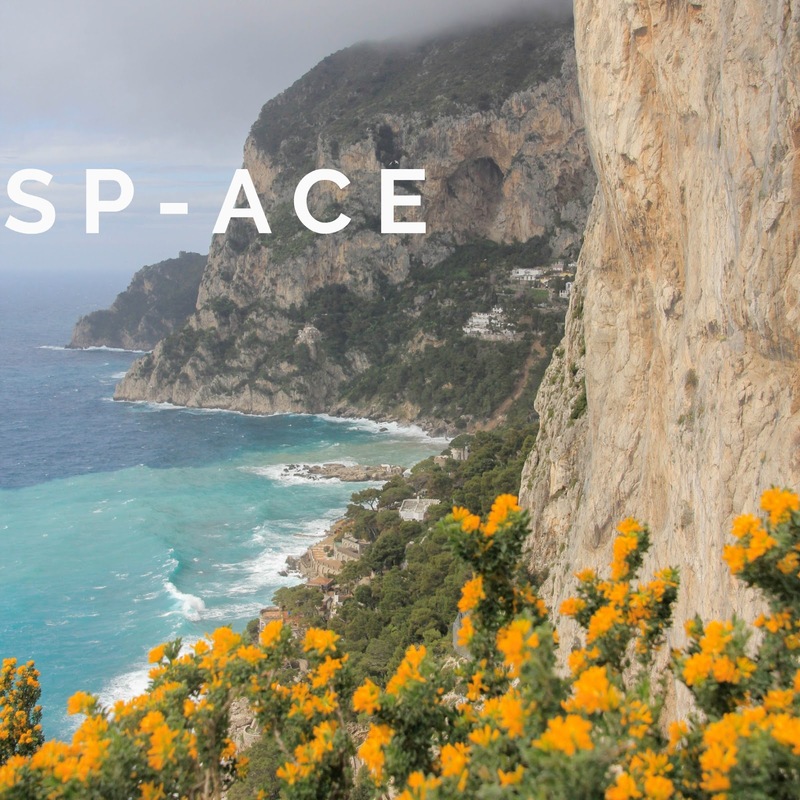 Enjoy the sp-aces in your life this year. I love how you carefully considered several words for this year. I hope this word will ground you in the now each day so that the life you experience is full and rich. I found myself nodding my head through your post. Thank you for sharing your process for figuring out your word for the year. We all need more sp-ace. Blessings for a wonderful new year! This is so thoughtful and beautiful. God will bless your intentions. It seems I dash through life, as I suspect most people do in our culture. As to the words believing, enough, abundance, and so on, I take comfort in knowing that through me, God is accomplishing the destiny he has for me. It’s all about him, his glory. It doesn’t matter if I’m nothing. I don’t matter and could never be good enough, but if I give myself to God to be used as He sees fit, I feel peace and contentment. It's all good, and good enough. I know that during the horrible year when our granddaughter was in the hospital and later died, I drew profoundly close to God. It would be wonderful to regain that sense of walking on the other side of the veil that separates natural life with supernatural life, and seeing the clear and beautiful path to eternity, as I did at that time. Maybe that's God's plan for me, too. Oh Cathy… thank you SO much for stopping by and reconnecting. I've thought about you so much over the months. I wish you a blessed 2018 filled with intimate connections with the Lord. I love your word and the reasons you chose it. That's a really great word choice for the year. I spent most of December clearing all the clutter out of my life, and I'm so happy with the results. It so much easier to enjoy the really good things in life when all the mediocre stuff is cleared out of the way. Thanks Lisa! I'm hoping it will help me focus on true priorities and not become distracted throughout the year. I have SO much more clutter to clear… but I did manage to take 5 large canvas bags full of books to the local library 🙂 Baby steps, right?